Tell me your favourite Walker Papers moment for a chance to win a copy of SHAMAN RISES! When Morrison comes out of Petite to save Joann. 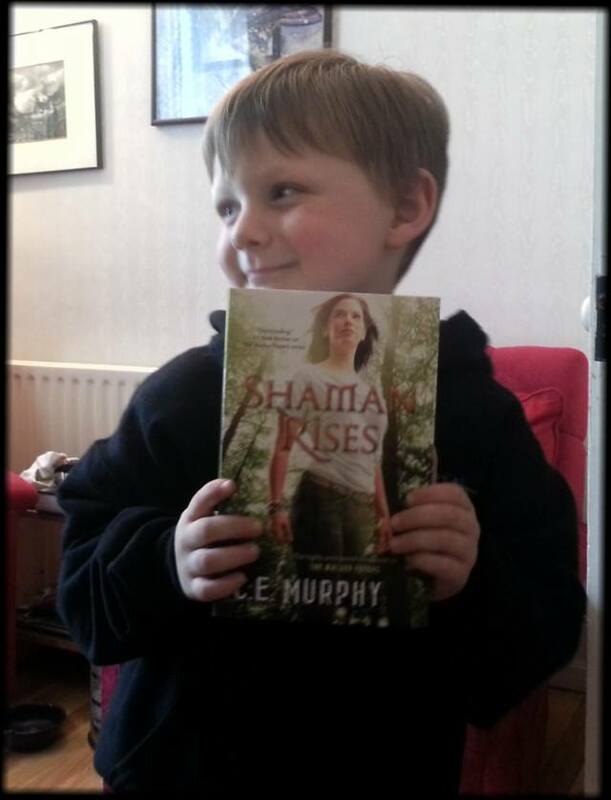 You have won a copy of SHAMAN RISES! please email your mailing address to cemurphyauthor at gmail dot com with the subject line SHAMAN Winner! Thanks so much! Email has been sent to you. "I was saying my last prayers when Gary rode out of the sunset and shoved my sword through the *****'s back." Both wording and event. Can't decide: Morrison as a wolf, flying purple Mustang or nekkid time in Petite! The first chapter of the first book, that started it all! And just pre-ordered my copy!